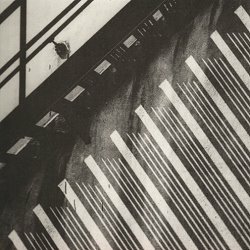 Paul Gardiner could not have known, when he was auditioning guitarists for his band The Lasers, that his life was about to take a quite sudden turn, that he would soon find himself helping to create one of the defining sounds of the post punk era, and reaping the rewards that followed from a string of hit singles and sold-out tours. No more could he have known that the trappings of such success would prove fatal. But on that day in the summer of 1977, all Paul Gardiner knew was that he quite liked one of the candidates for the guitar slot, a somewhat awkward but good-natured guy with bleached blonde hair named Gary Webb. He talked the other members of the band into giving the job to Webb, and, in the weeks that followed, encouraged him to take on the role of lead singer, a role that Gardiner himself had been fulfilling up to that point. The two got along so well, in fact, that they decided to ditch The Lasers and to set up on their own, adopting the name Tubeway Army. Webb brought in his uncle Jess Lidyard to play the drums, and as a three piece they recorded some paint-by-number punk demos in the cheapest studio they could find. The songs were Webb's, and already showed his skill for crafting a memorable phrase, but musically they owed a lot to Gardiner's simple but effective bass lines and talent for crisp arrangements. The demo was summarily rejected by every company they approached, but Gardiner never lost faith in either Webb or his songs. When the guy behind the counter at the Beggar’s Banquet record shop in Ealing mentioned that he was starting up a label, the bassist talked him into listening to the demo. Tubeway Army soon found themselves with a record deal, Gary Webb renamed himself Gary Numan, and the future beckoned. Paul Gardiner was the only member of Tubeway Army who stayed with Numan for the string of hit albums that followed, contributing his distinctive touch to Replicas, The Pleasure Principle, and Telekon, and joining Numan on stage for his farewell concerts at Wembley Stadium in 1981. When the other members of Numan’s backing band decided to carry on as Dramatis, Gardiner chose to go his own way. 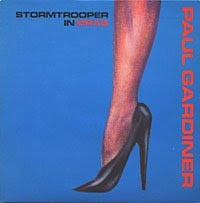 "Stormtrooper In Drag," his solo debut, saw the old Tubeway Army friends swapping roles: Gardiner played guitar and synth, while Numan took up the bass. The result had a cool, arty, understated feel that recalled Avalon-era Roxy Music or Japan's Gentlemen Take Polaroids. For many, though, the single appeared as a Numan project in all but name, with Numan not only playing bass, but producing and singing on both sides. In his autobiography, Praying To The Aliens, Numan recalls that he had little choice but to take the lead, given Gardiner’s erratic behaviour, the consequence of an increasingly serious heroin addiction. On one occasion, Gardiner "came into the studio and started to play and then he just keeled over, cracking his head quite badly on the side of the console. I thought he was unconscious but he was asleep, and when we tried to wake him we couldn’t. He had always been a bit flaky but this was different. This was scary." Numan liked the b-side, "Night Talk," well enough to include it on his next album, the gentle, graceful, Dance, but the two gradually fell out of touch. Numan spent more and more time pursuing his great passion, flying twin-engined aircraft, and was forced into tax-exile in the US, while Gardiner descended further into his drug habit. They reunited briefly in 1983 to record some new material at Rock City Studios, with Numan again at the controls, but with Gardiner assuming the lead vocal duties for the first time since his days in The Lasers. Things, in fact, were looking up, when, suddenly, on February 4, 1984, Numan got a call from a mutual friend telling him that Gardiner had committed suicide, injecting himself with a lethal dose of heroin while sitting in a local park. The suicide note, pinned to his jacket, read simply, "Cremation please." "To be honest," Numan writes, "the horrible reality of what happened didn’t really sink in until the funeral. I remember looking at the coffin and thinking, 'You idiot. What a waste.'" Numan would go on to work with many talented bass players, including Japan’s Mick Karn, and Pino Palladini, but in some ways his songs were best served by Gardiner’s economical but always apposite playing–it is as hard to imagine "Are 'Friends' Electric?" without Gardiner’s bass as it is to imagine it without Numan’s synthesizer. 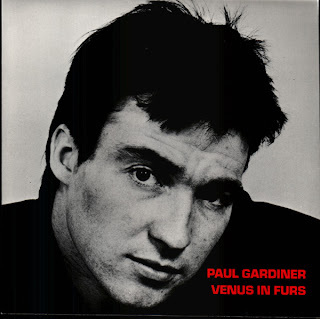 When Numan began his own label in 1984, Numa Records, he released Gardiner’s last recordings, a cover of The Velvet Underground’s "Venus In Furs" backed with an original composition, "No Sense," as NUM 1. The 7" version of that single, together with "Stormtrooper In Drag" and its b-side, "Night Talk," are included here. As a bonus, we’ve included Robert Palmer’s version of Numan’s "I Dream Of Wires," from his 1980 album, Clues, with Gardiner on bass. It's clear that a lot of work went into this posting, so thanks. Have to Agree with previous comment, was not just copy and paste from wikipedia, I enjoyed reading it and lerning from it, good work, thanks. I have seen Gary's PP show where he puts Paul up on screen during Complex (in Australia) and to say what an idiot, well that was probably at the time because to me it seems that Paul's choice had profound effects on many which are still felt today. I am not anti suicide having known people and family members that do that, but like Kurt Cobain, you just sometimes feel both a loss and what could of been, but then again, maybe it was the right path. No idea. Nice job on this. A wonderfully talented musician, and an innovative bassist who left us too soon. ...but what great bass lines he left with us! I used to know Paul and played in a band with him on drums before he teamed up with Gary. We went to see them rehearsing in a rented hall doing there Bombers punk stuff. Gary showed up to one of our parties with Paul and we recorded him singing some Bowie songs which his voice suited well, wish I had a copy!. Thanks for this article because when Paul and Tubeway Army/Gary Numan hit the big time I lost contact with Paul. I knew he had died of a drugs overdose but never knew how and in what cimcumstances and never realised he had gone on for several years with Gary, thought he had died early on. Yeah a waste, great bass player. For a time, good friend. Which band were you with then..The Lasers ? or was it another ? Music For Stowaways by B.E.F.